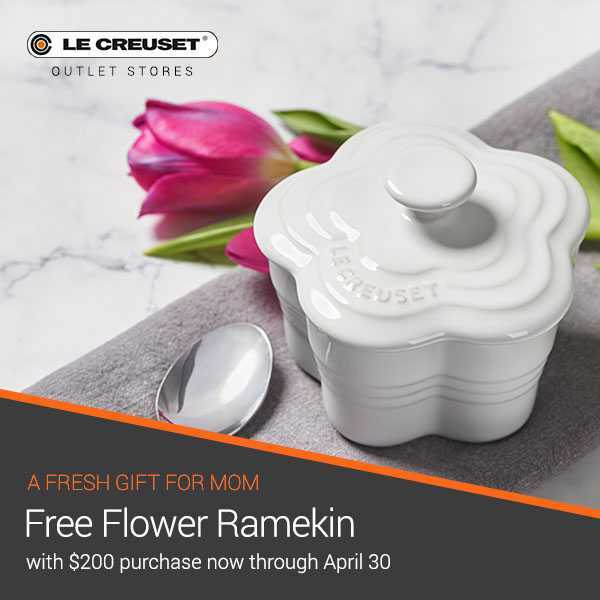 Free Ramekin with $200 purchase offer is valid while supplies last at U.S. Le Creuset Outlet Stores. One gift per customer please. Gift card and taxes do not count towards minimum purchase requirements. May not be combined with other offers. No adjustments to prior purchases.